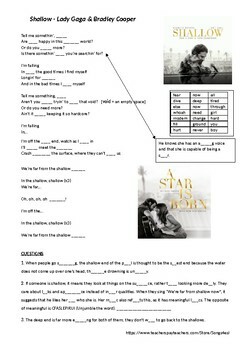 Song worksheet - Students fill in the missing words as they listen. Includes short comprehension gap-fill statements. 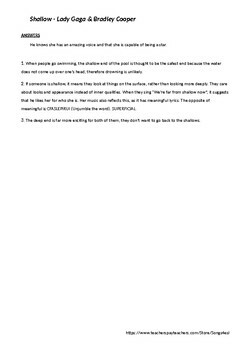 Explanations of lyrics, vocabulary (shallow, void).